Pump My Tank is the “Septic Pumping Specialist”. 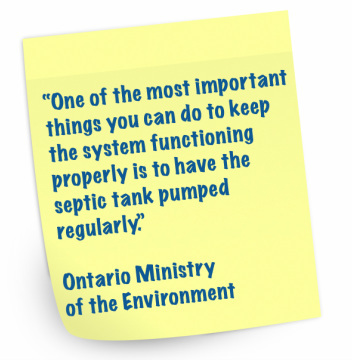 We call ourselves specialists because pumping septic tanks in Innisfil and all over Simcoe County and surrounding areas is exactly what we do. We believe along with the Ministry of the Environment that regular cleaning of your septic tank is the best thing you can do to keep your system functioning properly. When we pump your septic tank for the first time our experienced service technicions will take notes about the key indicators of your septic system such as size, load, location, age and it's overall condition. With the information we collect we are able to schedule service for your system's preventative maintenance and routine pumping and inspections when required, each catered to the specific requirements of your conditions. Our “Forget About It!” service allows you to do just that, forget about it! We know your life is busy enough so the first and LAST call you make should be to Pump My Tank, we'll take it from there. 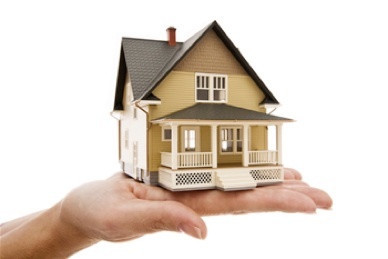 At Pump My Tank we want to make happy homeowners and we’ll prove that to you with our hassle free award wining service. 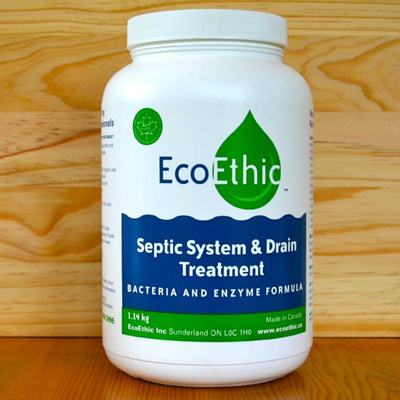 Any septic system that has been installed since 2006 is required to have an effluent filter. An effluent filter provides critical protection to your drainfield by keeping it free and clear of solids. By keeping the solids in the septic tank, your treatment or disposal system will not be harmed. We are able to retrofit your existing septic tank with a sludge and scum filter that will suit the unique needs of your home system. Solids entering the septic field significantly reduce the life of the field, resulting in premature failure of the entire system so an effluent filter makes a lot of sense. This filter manufactured by the Tuf-Tite is effective in reducing particle size to 1/16 of and inch! 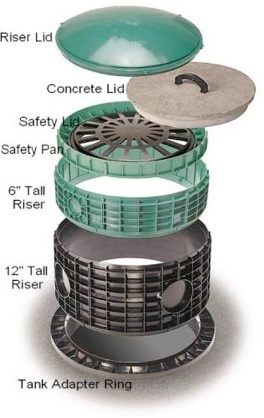 A septic tank riser is a simple and important upgrade to an older septic system. Almost all new septic systems include an extension that brings access to you septic tank to ground level. Of course the real advantage of this is that you no longer have to dig up your lawn to gain access to clean the septic tank or the filter if your system has one. Trying to locate an underground septic tank can be difficult and labour intensive and a riser can solve this problem once and for all. This above ground access point can be an excellent investment for your home and can save lots of time, physical work, and aggravation. To the right is a diagram of a typical riser system manufactured by the Tuf-Tite Corporation. 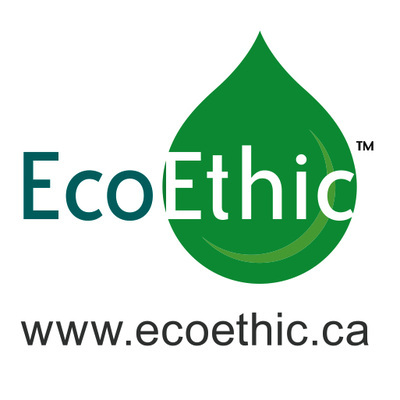 There is a huge variety of septic system additives available at all the big box stores but we trust Eco Ethic exclusively and it is the only product we use personally and recommend to our valued customers. When your home's septic system is in good hands, you can Forget About It!